The art of producing has developed into a beast of its own over the years, to the point that producers have become just as popular as rappers. 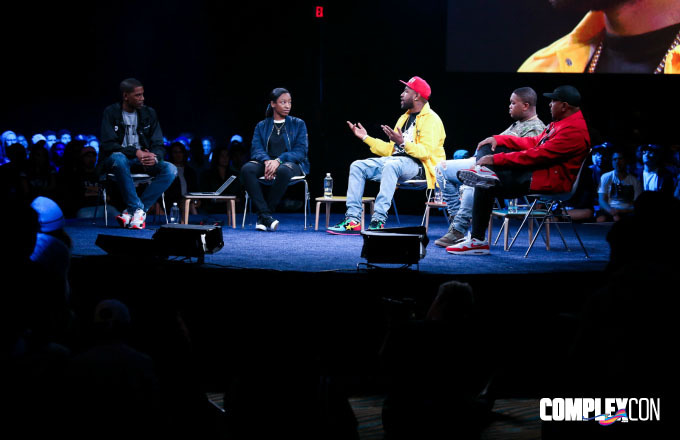 Mike Will Made-It, DJ Mustard, Timbaland, and Wondagurl all came together under one roof at ComplexCon for the "Wax on It" panel hosted by Young Guru to share some stories behind their career paths. One of the more important topics brought up during the panel was the difference between a beatmaker and a producer. Timbaland hit the nail on the head with his response: "A producer is somebody who sees the whole vision, it&apos;s just that simple." He touched on the process behind working on "Big Pimpin&apos;" with Jay Z and noted that Jay gave him the proper time and space to execute his vision. "He allowed me to share my greatness with him." Timbaland also talked about why producers these days are more vital than the generation he came up in, and added, "Music is the only thing that&apos;s not racist." As the youngest producer on the panel, Wondagurl was asked about where she finds inspiration for producing right now. She said it comes from traveling and listening to other genres outside of hip-hop, like vaporwave. Mike Will Made-It broke down how the beat for Gucci Mane&apos;s first post-prison song "First Day Out Tha Feds" was made. He said he wanted to make something that was weird, "something you ain&apos;t never heard before," and it took some back and forth between him and Guwop before it finally the song hit the airwaves. In essence, the story highlighted the importance of communication and collaboration. 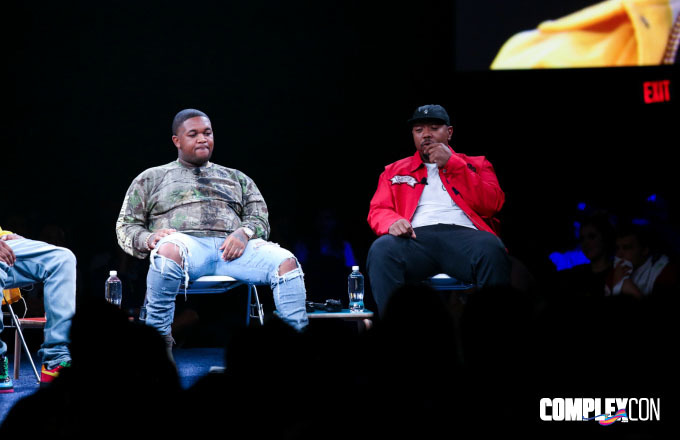 Young Guru asked DJ Mustard how he approaches sharing constructive criticism when it comes to working with new artists, and Mustard&apos;s response was one aspiring producers should take note of. "Being honest... you&apos;re lying to me, you&apos;re lying to yourself," he said, adding that both sides shouldn&apos;t sugarcoat the issue if they&apos;re trying to win.